Customized programs bring NUCPS training to agencies around the world. Northwestern University Center for Public Safety is the leading resource for providing unparalleled international access to expert law enforcement training, from leadership and strategy programs for senior managers and prosecutors to courses in criminal investigations, homeland security, community policing, forensics, and crash reconstruction. Twenty years ago, NUCPS’ first foray into global education focused on crash investigation and reconstruction training in Botswana. Since then, we have developed into a leader in international law enforcement training and rule of law assistance, significantly growing our international presence to 36 different countries, where we have reached thousands of students. Our global programs include all of our certificate courses, seminars, and workshops – including our internationally respected capstone program, School of Police Staff & Command – and all are customizable for our clients’ unique requirements and goals. Our authoritative reputation in advanced and on-going law enforcement education and rule of law assistance - coupled with Northwestern University's preeminent international reputation – has helped us deliver NUCPS training to nearly 1,000 global students in just the last five years. NUCPS continues to develop new programs for our global market, including in-depth coverage of public corruption, organized crime, trafficking of persons, narcotics and weapons, border security, and police legitimacy. To further help our global clients achieve success at all stages of criminal investigations – from arrest through conviction – we also are expanding our scope to include rule of law instruction, prosecutorial training, and procedural justice. Partnering with an experienced international training program, such as NUCPS, offers many advantages. We adapt to our clients’ needs rather than requiring them to adapt to our program. One unique benefit of a NUCPS partnership is our flexibility and responsiveness to our global clients’ specific goals and requirements. Unlike other training centers, NUCPS features the ability and willingness to structure our different program curricula to the ever-changing requirements of clients in diverse of global regions – from timeline requirements to integrating varying course content with Prosecutorial and Rule of Law training to development of topical forums and course curricula that cover such specific issues as public corruption, border security, cybercrimes, and trafficking of people, weapons, and narcotics. This flexibility also allows NUCPS faculty to redevelop on-going training programs as client requirements change over time. We offer a wide variety of partnership options and work with our clients to develop a program that fits their needs in terms of content, location, and languages. Our international clients can host a NUCPS program at their location that is exclusive to their own employees; they can host a training program open to their staff along with professionals from their region, nation, or even other countries; or, global clients can work with NUCPS to develop an online program that fits their on-going training requirements. If your public safety or law enforcement center is interested in developing a training program partnership with NUCPS, please contact Executive Director Dave Bradford for more information at +1-847-491-5231 or d-bradford@northwestern.edu. All current NUCPS courses – including our advanced law enforcement training programs – are available for adaptation to specific global client needs and goals. Our courses cover such advanced and on-going training subject areas as Homeland Security, Law Enforcement Management, Criminal Investigation, Forensic Science, Crash Investigation & Reconstruction, and Community Policing. Additionally, NUCPS can provide expanded Rule of Law and Prosecutorial training within any of our courses or curricula, including all of the above issues. The scope of Rule of Law education includes such key areas as Police Legitimacy, Procedural Bias, Implicit Bias, and Ethics. "While our students in our Evanston and other U.S.-based classes are enthusiast and dedicated, our international students bring a heightened sense of excitement to our programs. Not only is teaching in their locations a unique experience for us – getting to know these students, their culture, and their work environments is inspirational and really gives staff an understanding of Northwestern and NUCPS’ global reputations.” - NUCPS Associate Director Victor Beecher. NUCPS’ authoritative faculty are integral in our global success. Our staff features more than 70 subject-matter experts from diverse law enforcement and legal backgrounds, including law enforcement management and leadership, police legitimacy, rule of law, border and homeland security, ethics, community policing, all types of criminal investigations, forensic science, and crash reconstruction. Our faculty includes seasoned international instructors who bring a wide range of academic and experiential knowledge to classrooms located around the globe. NUCPS instructors appreciate and welcome the unique experiences available only in international classrooms. To learn more about how we can customize a law enforcement program for your specific requirements and goals, please contact Executive Director David Bradford at (1)847-491-5231 or d-bradford@northwestern.edu. 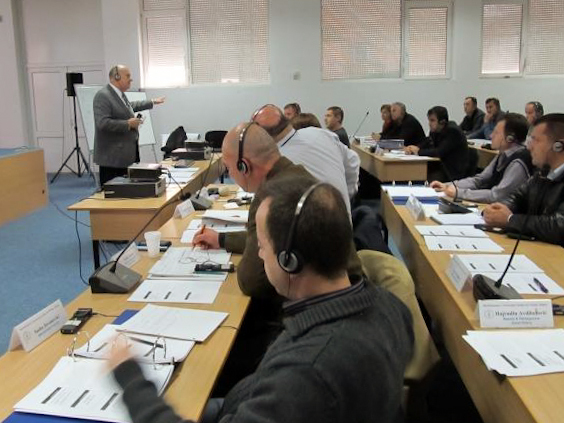 At the Kosovo Academy of Public Safety in Vushtrii, NUCPS has offered our School of Police Staff and Command on a nearly annual basis since 2010 to Balkan students from Albania, Bosnia & Herzegovina, Croatia, Kosovo, Montenegro, and Macedonia. In Spring 2017, U.S. Ambassador to Kosovo, Greg Delawie, addressed the program graduates, stressing the importance of the Kosovo – U.S. partnership and its benefits for both countries. NUCPS Executive Director Dave Bradford was on hand to congratulate each participant. 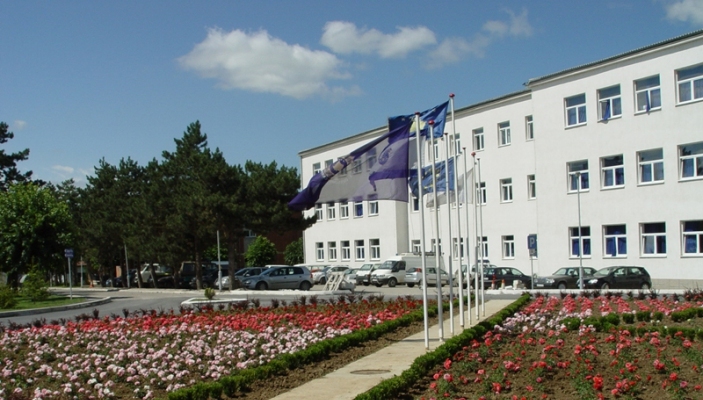 NUCPS currently is working with the Kosovo Academy to develop an accredited master of Public Safety degree. In Kuwait, NUCPS has partnered with the United Nations Development Programme to help build the state’s traffic safety program. NUCPS has a history of working with different Middle Eastern countries that reaches back to the early 1980s. 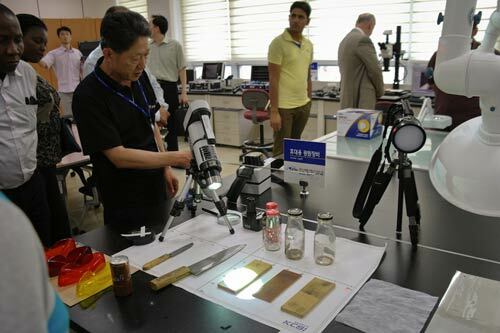 In this most recent program in Kuwait, NUCPS partnered with the UN to bring Traffic Crash and Reconstruction programs to the Kuwait. The Crash and Reconstruction programs are significant steps in Kuwait’s traffic safety mission of increasing safety while reducing fatalities, injuries, and damage. The NUCPS – UNDP partnership offered the participants the necessary foundation for proper crash analysis. Understanding best practices for proper crash analysis will provide high-quality data for other root cause analysis, including geographical, roadway design, and flow or incident time concerns. This research is critical to helping Kuwaiti officers understand what violations are being committed that lead to the serious crashes. The Spring 2017 graduation featured Ministry of the Interior, Division of Traffic, Assistant Undersecretary (Director General) Fahad Al Shwaye personally presenting each participant with their certificate. Individual public safety professionals are welcome to register for NUCPS courses offered in Evanston and other U.S. locations. Our international students come from as far as Australia and South Africa and as near as Canada. Studying with law enforcement and public safety professionals from other cultures adds a new dimension of learning to the NUCPS experience -- broadening perspectives, creating thoughtful leaders, fostering meaningful dialogue, and inspiring new ideas. 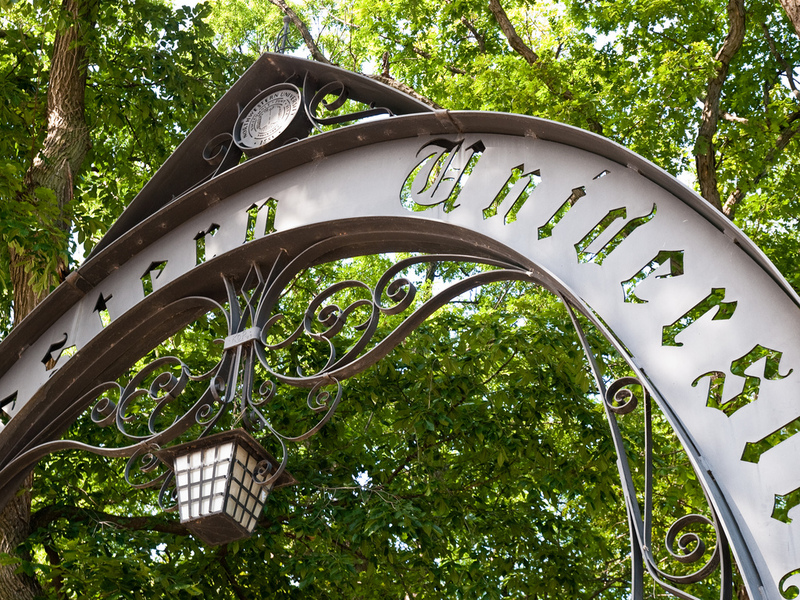 Locations include our Northwestern University, Evanston, Illinois, courses or any of our U.S. regional programs (see calendar). To learn more, please contact Deputy Director Shelly Camden, at +1-847-467-0893 or s-camden@northwestern.edu.